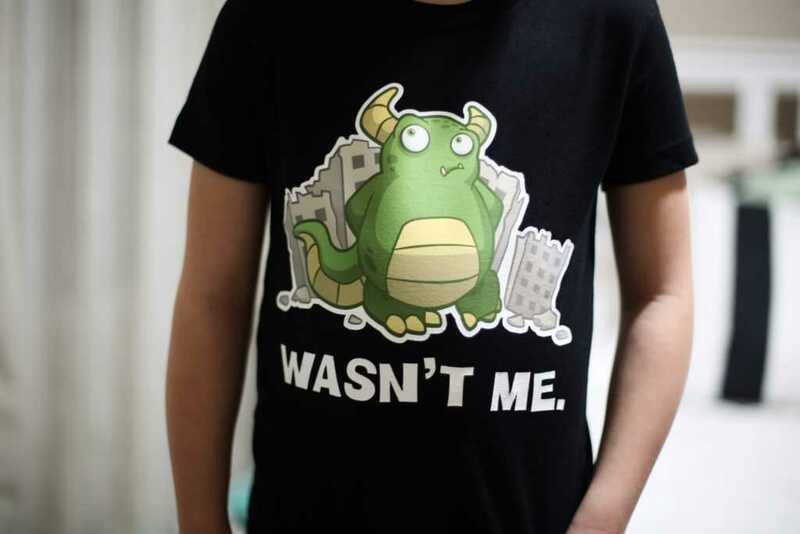 Heat transfer is one of the most popular materials to cut with your Silhouette! Using heat transfer, you can design and create custom-made apparel, home décor, and so much more. Heat transfer is a film material that has a heat-activated adhesive backing, so it can bond permanently to fabric. This means it can be applied onto various fabric surfaces, such as t-shirts, jerseys, or bags. Just think of all the amazing possibilities! Heat transfer material (with the exception of printable heat transfer sheets) can be loaded directly into a Silhouette cutting machine and does not require the use of a cutting mat. In addition, heat transfer material includes its own transfer liner, so you don’t need transfer tape in order to transfer your designs. Give your projects a professional look with smooth heat transfer. Each color of smooth heat transfer has a matte finish with a smooth, low-profile surface, and it comes in both 9-inch and 12-inch sizes. The material is manufactured with transfer tape already adhered, so you can cut detailed projects. Silhouette offers over thirty colors, including gold, silver, and neon. The application process of the heat transfer material is easy and fun. 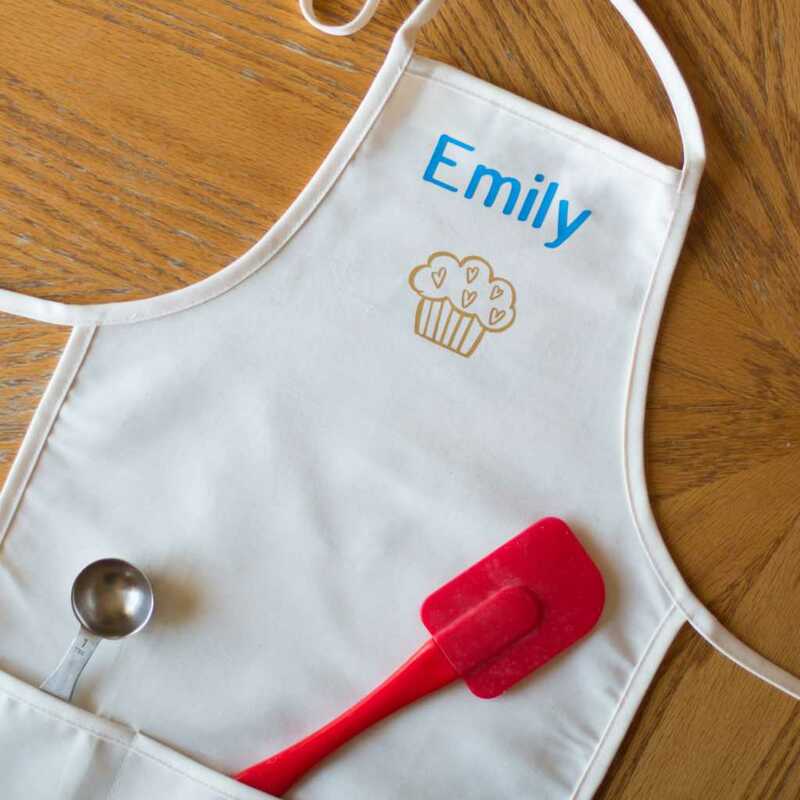 Watch this video to see how to decorate an apron with smooth heat transfer. Glitter is the best way to add a little glam in your life. 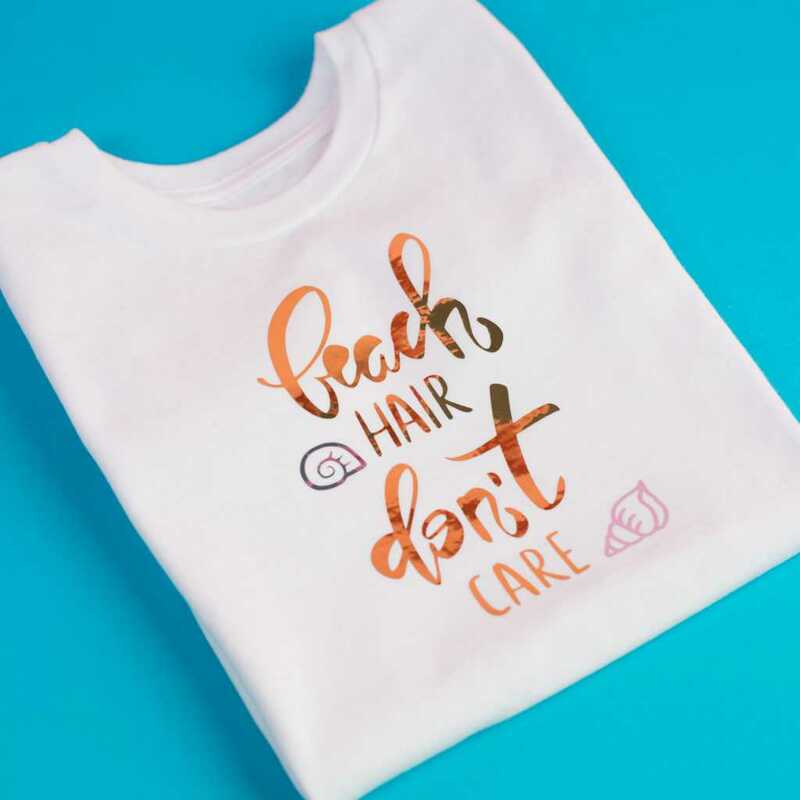 But if you’re not a fan of the never-ending trail of glitter all over your house, the easiest (and significantly less messy) way to incorporate more glitter in your fabric projects is with glitter heat transfer. Try cutting your own detailed designs with it. The transfer tape is already adhered to the material, and it comes in rolls of 12 inches by 36 inches. A video with the application process can be found here. Do you love soft, velvety textures? 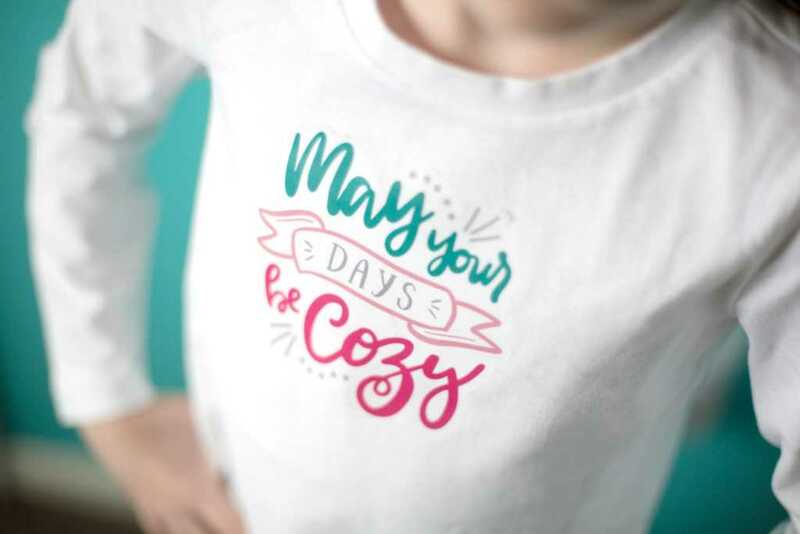 Try using Silhouette’s flocked heat transfer material. The material is manufactured with transfer tape already adhered, so it’s perfect if you want to cut out small or intricate designs, and it comes in 9-inch and 12-inch sizes. 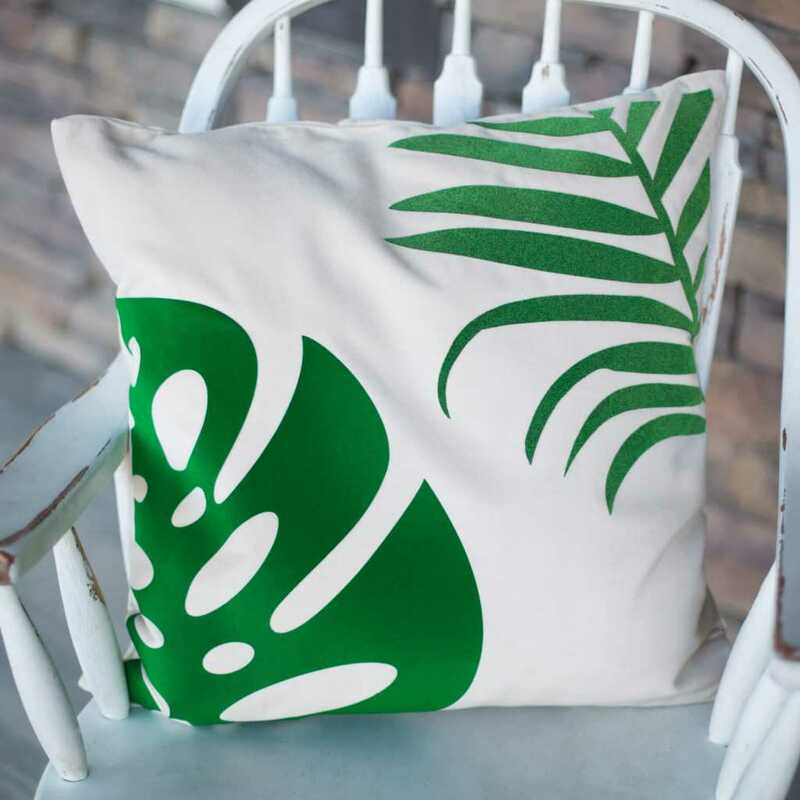 Do you want to know how to decorate a pillow case with soft tropical leaves? Watch this video. When you’re done, you can thank us when you can’t stop rubbing your face against the pillow. Add any edgy element to your projects with the metallic heat transfer. This product is sold in single rolls of 12 inches by 36 inches and comes in silver, gold, pink, copper and mint green. Want to make your own T-shirt with metallic heat transfer on it? Just follow the instructions from this video! We love the sheen because it helps the design pop. In need of a reflective shirt for your early morning runs? 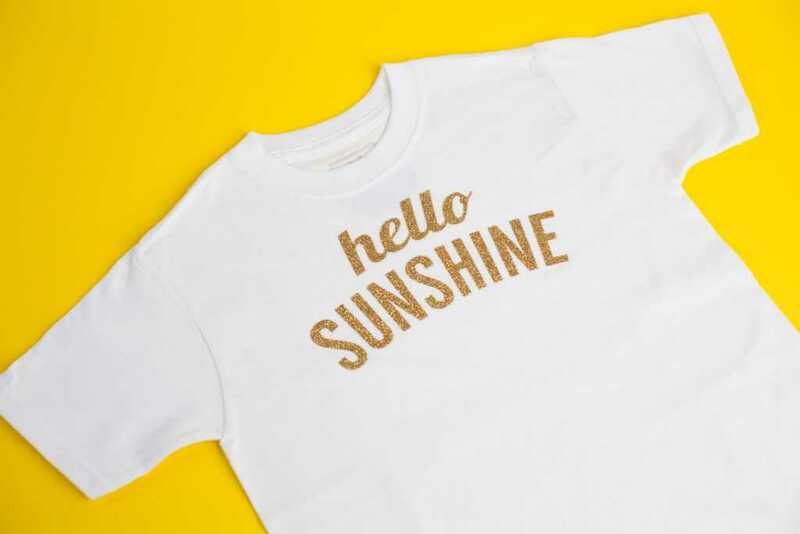 Try making your own with our reflective heat transfer material. This material reflects light in dim settings, so it’s perfect if you’re wanting to add a safety feature to your clothing. This product is sold on one roll of 9 inches by 24 inches and comes in in silver, blue, green, and red. Check out the application process here. Do you have an awesome design idea that you want to see in both the light and the dark? Try cutting intricate designs with Silhouette’s glow-in-the-dark heat transfer material. This product is sold in rolls of 9 inches by 24 inches. 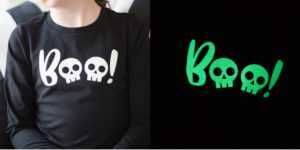 Watch the video to see how to make your very own glow-in-the-dark project here. Create uniquely colorful apparel with iridescent heat transfer material. This is a specialty heat transfer material that gives a multicolored appearance as light is reflected off the surface. It comes on a 9-inch roll and is 24 inches long. 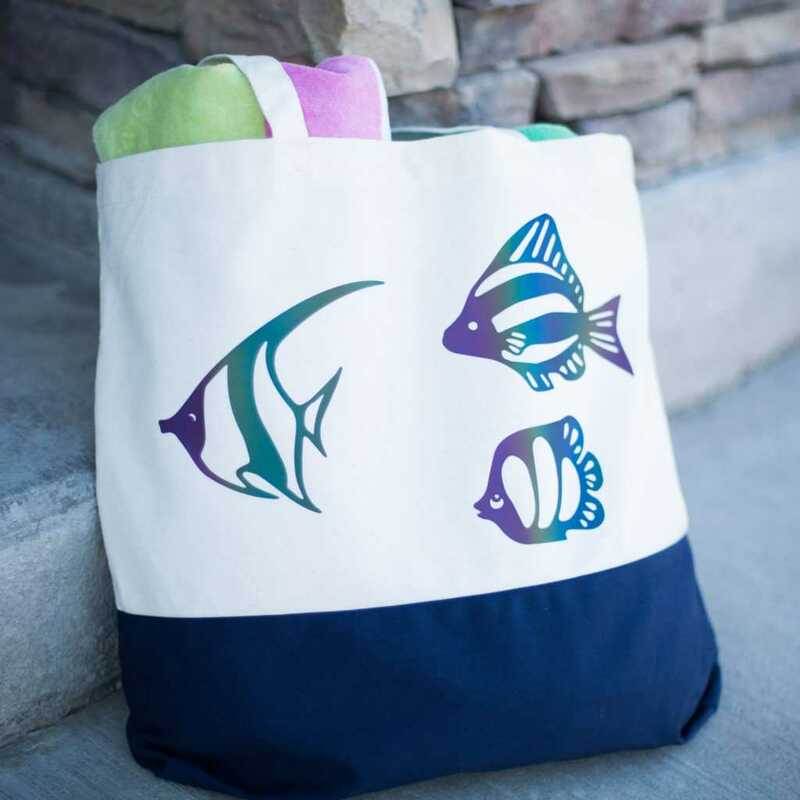 We made a unique beach bag with this material, and it turned out great! Watch this video to learn how to apply iridescent heat transfer. Use printable heat transfer for dark fabrics on any dark cloth surfaces. Print an image and cut out around the contour using the Silhouette cutting machine’s Print & Cut feature. You can then iron your custom image onto a fabric’s surface, such as a t-shirt. This material remains solid when ironed, so it is suitable for all colors of fabric. This product is sold in a package of five sheets that measure 8.5 inches by 11 inches. Watch this video to learn how to apply printable heat transfer material for dark fabric. Use printable heat transfer for light fabrics on lighter textile surfaces. This material turns semitransparent when ironed and should be used only on white or very light-colored fabrics. Each package includes five 8.5-inch by 11-inch sheets of printable heat transfer material. The video tutorial how to use the printable heat transfer for light fabric can be found here. Aren’t these heat transfer products amazing?! I’ll bet we just gave you an idea for a new project! What’s something you want to make with Silhouette’s heat transfer material? 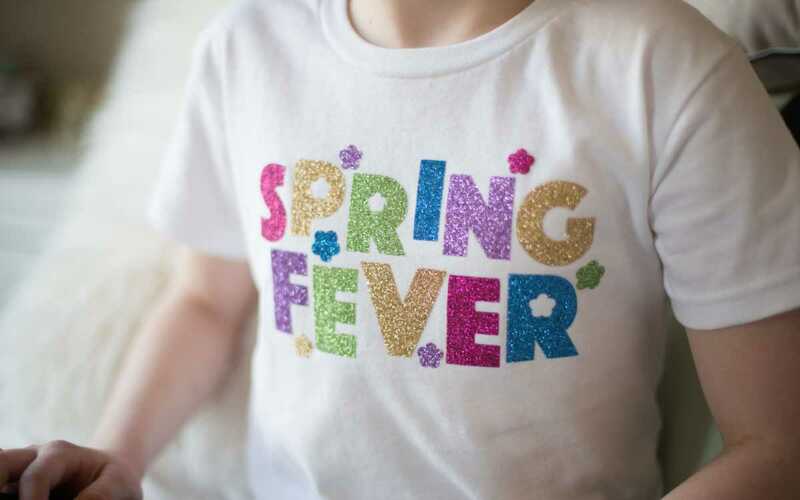 I’m an head over heels in love with the colors of the ‘spring fever’ design. and the glitter vinyl that you used. 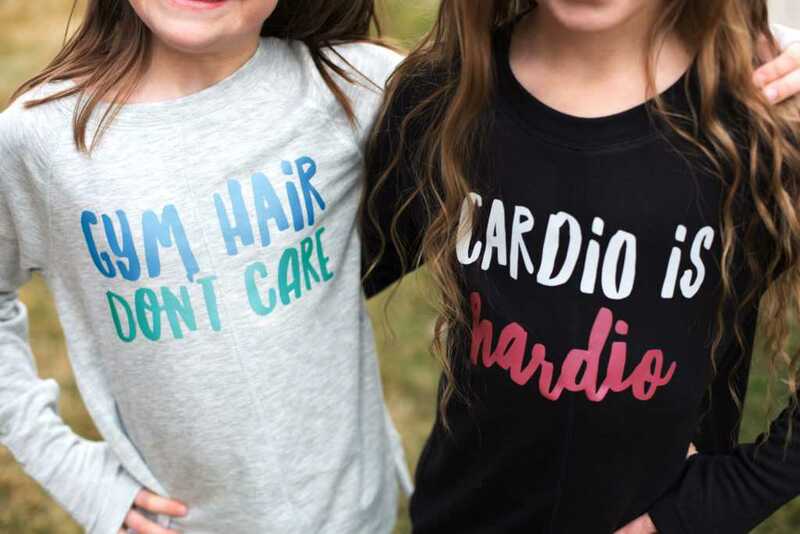 I’m really not enjoying the kids fashion this season, so I might use this idea and pull out my heat press machine to make some fun colorful shirts.